Jason S. Nunnermacker, Esq. is dedicated to providing his clients with vigorous, thoughtful and efficient legal representation whether it is in the Courtroom, at the negotiation table, or in drafting and preparing vital corporate documents. Jason has substantial experience in representing employers with dozens to hundreds of employees in different states, “mom and pop” local small businesses, commercial and residential property owners and landlords, as well as individuals who are victims of unlawful treatment in the workplace or victims of deceptive and illegal business practices. Jason provides day to day legal and business advice to various companies that not only includes how to be successful in a litigation, but which also serves to explain how a client can avoid future protracted and costly litigation. At the same time, he also has extensive experience representing individuals victimized by large companies or municipalities to ensure that their individual civil and constitutional rights are protected and preserved. Jason commits himself to recognizing that litigation can be a very expensive process even for the most affluent of clients, and therefore attempts to take reasonable, common sense and cost-effective approaches to achieve the best possible results for his clients. Jason has proven himself to be a vigorous and zealous advocate for his clients who has appeared in Courts throughout the State of New Jersey to defend and safe-guard his client’s rights. 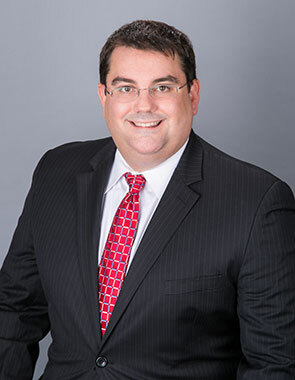 Jason is a graduate of Hackensack High School, William Paterson University, and received his Juris Doctorate from Roger Williams University School of Law in Bristol, Rhode Island. Jason has been recognized by New Jersey Super Lawyers Magazine, Rising Stars edition as being one of the best young attorneys under the age of 35 in the State of New Jersey, and has further been recognized by 201 Magazine has one of the best civil litigators in Bergen County, New Jersey for the years 2013, 2014, 2015 and 2016.